The New England Chapter is a chapter of the American Society for Indexing, a non-profit association founded in 1968 to promote excellence in indexing and increase awareness of the value of well-written and well-designed indexes. The New England Chapter (originally the Massachusetts chapter) was founded in 1995 and serves indexers, authors, editors, publishers, and database professionals in New England and the world. The New England Chapter’s spring event was a co-organized meeting along with the ASI Digital Publications Indexing SIG and Bookbuilders of Boston, held Thursday evening, April 5, at the offices of the publishers Cengage Learning, which is also an organizational member of ASI. The program theme, “Indexes in Ebooks and Embedded Indexing” brought together three speakers and an opportunity for discussion. 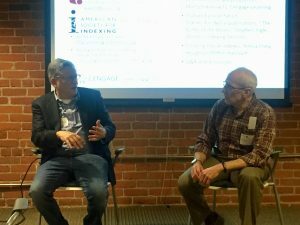 As most of the 22 attendees were members of Bookbuilders of Boston, it was an opportunity to raise the awareness of embedded and ebook indexing among publishers, so that they don’t simply discard the index in ebook editions. The evening’s featured speaker, Stephen Ingle, President and CEO of WordCo Indexing Services and a past president of the New England Chapter of ASI, addressed the issues the publishers face with digital publications in his presentation “Indexes for Digital Publications: ‘The Battle of the Books’.” The issues to be “battled” and resolved include: whether or not to even have an index in a digital book/ebook, whether a hyperlinked index should be page-hyperlinked (usually based on what was the print page) or precision-hyperlinked (to an element, such as a paragraph), and whether indexes should be fully functional. Fully functional may include allowing user input, taking advantage of the digital potential, and giving the user an improved experience over print. Good questions were raised during the Q&A, and there was time for discussion and networking. The ASI New England Chapter and the Digital Publications Indexing SIG provided food, and there was table of ASI information literature and copies of printed article on digital publications indexing. There was interest in Bookbuilders of Boston and the ASI New England Chapter cooperating in future events. Michelle Guiliano and Jennifer Spanier have been elected as Lead Officers for the New England Chapter for 2018. Thanks to all who voted in the election. We look forward to working with members in the coming year as we plan chapter activities and events! Come join us at the Howe Library at 13 E. South Street in Hanover, NH. There is no charge for this meeting, but each person is responsible for their own lunch costs if they participate in the informal networking luncheon. RSVP is required for both events by sending an email to Michelle Guiliano at: michelle@linebylineindexing.com. Deadline for RSVP is November 23rd. 11:30 to 1 pm. Informal Networking Luncheon at Market Table from 11:30 to 1 pm. (Market Table is located at 44 S. Main Street, just 1 block from the library. The parking garage is conveniently located between the library and the restaurant. Visit their website www.markettablenh.com for a look at their menu). 1:15-2:15 pm Starting and Maintaining Your Indexing Business. This will be a panel discussion with Joan Shapiro, Sherri Dietrich, and Jennifer Spanier. Here’s your opportunity to learn from experienced indexers on how to start your indexing business. Established indexers are sure to glean some useful hints on marketing and business management as well. 2:30-4:30 pm Knotty Bits Discussion. The Pacific Northwest Chapter hosted a Knotty Bits Discussion that was a resounding success at their Fall Meeting. We’re shamelessly replicating their idea on the East Coast so here’s your chance to ask questions and receive answers about how to approach the thorny problems you’ve encountered while indexing. Are you unsure how to handle name changes throughout the book? Maybe you want to discuss how to update an index from a previous edition. Submit your question or situation to michelle@linebylineindexing .com before the meeting or, if time allows, at the meeting. All written submissions can remain anonymous if you like so don’t be shy! There will be a room full of indexing experts to brainstorm different approaches. 4:00-4:30 pm Annual business meeting. Hanover, NH is easily accessible from both I-89 and I-91. For detailed directions, feel free to email Michelle Guiliano at michelle@linebylineindexing.com. Alternative transportation: Dartmouth Coach from South Station and Back Bay station. Their schedule is located at https://dartmouthcoach.com/route/upper-valley-to-boston-logan-airport/. The drop off/ pick up in Hanover is 1 block from Market Table and 2 blocks from Howe Library. Hurry, spaces are limited and they seem to be filling up! Join your fellow indexers for an informal lunch at the Porter Square Panera Bread on March 8th at 12:30. Located on White Street, the MBTA Red line will take you right there. Also nearby is Porter Square Book – an added bonus! Please RSVP to RSVP to Steve Csipke: steveindexer @ hotmail.com so he has some idea of the number we will expect. This is a great opportunity to connect, or reconnect with your local indexing community. We hope to see you there! NEASI Election Results are in! Thanks to everyone who voted in our recent election. Linnea Dwyer was elected Vice President and Barbara Murphy was elected Secretary. Both will take office on January 1, 2016. 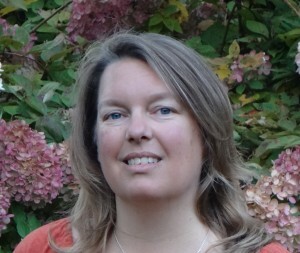 In addition, Michelle Guilliano has been appointed to coordinate the chapter blog project. Jennifer Spanier will be serving the second half of her two-year term as Treasurer. Per the bylaws, the Vice President becomes President, and the President becomes Past President; therefore Naomi Martin and Melissa Swamy will be staying on the board, moving into positions of President and Past President, respectively. For the New England Chapter of American Society of Indexing, 2015 was the year of change. The shift began at the annual meeting in the spring of 2014 when then-president, Ceilyn Boyd, announced that the current board was stepping down after serving for a number of years. Due to career changes, outside commitments, and length of service, they collectively had decided to not serve for another year. Membership numbers were down nationally and locally, and attendance at the chapter meetings had been decreasing over the years. The discussion at the 2014 meeting turned to placing the chapter on inactive status if the board spots were not filled by other members. Three people stepped into the open positions: Melissa Swamy, Jennifer Spanier, and Michelle Guiliano. Serving as new president, Melissa Swamy works as taxonomist while developing her indexing skills. Melissa stated, “I wanted to be part of chapter leadership because I wanted to meet people in the indexing world and feel more connected. I thought it would also help me better understand the business of indexing and start freelancing.” Jennifer Spanier, the new treasurer for the Chapter, is a recent Vermont transplant from the New York where she had been active in the New York City Chapter. In addition to serving as treasurer, Jennifer is also a co-webmaster for ASI. She has been running her business Spanier Indexing since 2010, and she focuses on database indexing and back-of-the-book indexing for a wide range of topics. The newly elected secretary, Michelle Guiliano, is a native New Englander, and she practiced medicine for a number of years before becoming an indexer. Her business, Line by Line Indexing, focuses on science and medicine indexing. President-elect, Naomi Martin, joined the board in the spring of 2015. She has a masters in library science and was a corporate librarian for over 20 years in the field of biotechnology before beginning a second career as an indexer. The first order of business for the new board was a mission statement. Discussions on the indexing various listservs sometimes centered on whether to join the American Society for Indexing (ASI). Specifically, posters asked, “What is the benefit of joining ASI?” As a small business owner, this is a legitimate question because every dollar spent must have a purpose. The New England board targeted this question when developing the chapter’s mission, asking each other, “What can the New England Chapter do for its members?” The board, then, collectively chose to focus on bringing the benefits of chapter membership to the forefront. They decided to make the current mission of the New England Chapter of ASI to provide more networking opportunities among chapter members through informal local meetings, the annual meeting, and the Chapter’s website. Geographical distribution has not always been an issue for the New England chapter. In fact, the New England Chapter was originally called the Massachusetts Chapter since most of its members were in Massachusetts, centered around the Boston area. Now, only 20-25% of the membership resides there and the rest of the members are scattered throughout New England, New York, and even Canada. Comparing the membership list with a map of New England, the board realized that there were pockets of 8-10 indexers that lived within 1 hour of each other. What better way to serve the members that to facilitate informal coffee breaks or luncheons so that the indexers can network locally? 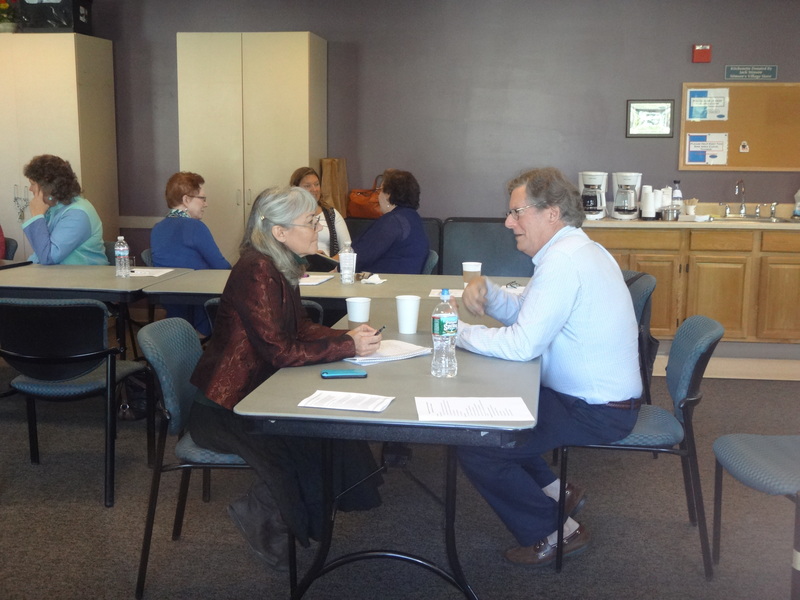 Since the beginning of 2015, 4 informal meetings have been held: 2 in Vermont, 1 in Massachusetts and 1 in Connecticut. There are plans underway for a meeting in Maine and the Boston area in late fall. There is always a lively discussion and new connections are forged. Since indexing is such a solitary profession, these get-togethers are a great opportunity for indexers to meet up and form relationships with other local indexers. While these informal meetings are wonderful networking opportunities, they could not replace the annual meeting. The new board wanted to incorporate the momentum of networking of the informal meetings held throughout New England into the theme of the 2015 annual meeting, which was held September 26th in Hanover, NH. Lisa DeBoer’s talk at the 2015 national ASI meeting entitled, “One is the Loneliest Number: Strategies for Collaboration Among Indexers,” caught the interest of Jennifer Spanier. “Since Lisa’s session at the Seattle conference was a great introduction to networking and collaborating with other indexers, I thought an expanded version would be perfect to share with our chapter,” recounts Jennifer. Further discussions with Lisa about this presentation led to an agreement to expand the original presentation from 15-minutes to an hour-long interactive session at the New England Chapter’s 2015 annual meeting. After her short talk and a questions-and-answer period, the interactive portion of the presentation began. Much like speed-dating, participants were given four minutes to “meet” each other before being asked to move on. A lot of laughter and connections were made during the 40-minutes of networking in this unique way. All the participants agreed that this type of workshop would be beneficial at most conferences. Since the majority of indexers are introverts, this type of interaction makes it easy to meet other indexers that they might otherwise not have spoken with at a meeting. Following lunch, another interactive session had been planned, focusing on the business of indexing. A panel consisting of Colleen Dunham, Stephen Ingle, and Joan Shapiro answered questions for over an hour on varied topics such as technology, subcontracting, and professional development, with Michelle Guiliano moderating. Colleen’s business, Colleen Dunham Indexing, is a unique collaboration of indexers from South American and New York. Colleen got her start in the publishing business in 1970, working for Thomson-West, a family-run legal publishing company. After 27 years, she moved on to work with Microsoft until 2004, when she founded her own indexing business. During the panel discussion on hiring subcontractors, Colleen explained that while she enjoyed indexing, she had the interests and the skills to set standards and lead a team. She liked the idea of keeping multiple publications in the pipeline by piecing out work using subcontractors and this became the basis for her business. Stephen Ingle, president and CEO of WordCo Indexing Services has a different approach to leading a team. WordCo is unique because Stephen does not usually hire subcontractors. Rather, he employs a group of indexers who work out of one office. During the discussion he stated, “By having employees not only is everyone working as a team, but each person is able to truly specialize, not just in indexing topics, but in other aspects of the business too.” He also stressed the difference that it is important to compliant with the IRS’s definition of an employee vs. a subcontractor. Joan Shapiro, who has been indexing for over 15 years and has recently earned her Master of Library Science degree, added yet another perspective on subcontracting. She also offered ways to improve relationships with authors and publishers since she works with many authors. One pearl of wisdom from Joan was to have the author whose university is paying for the index start the purchase order (PO) process right away to avoid any payment delays. As for marketing, the panelists all agreed that established indexers rely on repeat business and referrals. Equally important, each stated that it is important to keep in touch with past clients, either with holiday cards, an occasional phone call, or looking out for new books produced by them. Cynthia Savage, a New England chapter member, mentioned that going to independent bookstores where authors frequent is a great resource for new clients. Other ways of marketing indexing services, such as social networking, were also discussed. Indexing efficiently was a hot topic. Suggestions from both the audience and the panel ranged from software and technology add-ons such as Margaret Berson’s Megabits Macros (www.edit-mb.com/megabit) and the programs and services offered by Dave Ream’s company Leverage Technologies (www.levtechinc.com). The number of monitors used, desk configuration, and chair considerations were discussed as well. Colleen mentioned that there are offices that rent space by the day so that you can be out of the home office for a change of scenery and pace. Home distractions are then kept to a minimum. Kate Mertes’s “Creating and Maintaining Speed in Indexing” webinar through the ASI website was touted as excellent source of tips for efficiency while indexing. ASI’s webinars were cited as a good resource for professional development as well, along with attending local and national indexing meetings. Steve Ingle stated that he has attended several e-book conferences and that more indexers should consider attending conferences that do not focus solely on indexing. He also mentioned that indexers don’t even have to leave the office to participate in meetings. Recently he was part of a twitter hour that focused on e-book indexing that he found to be worthwhile. We are pleased to announce the next informal luncheon of the New England Chapter of ASI on Friday, November 13, 2015 at 11:30 am. It will be held in Portsmouth, NH at BRGR Bar. Please look at the restaurant website for menu and location. All indexers, friends, and those interested in indexing are welcome to attend. Please RSVP to Linnea Dwyer, at linnaeusindexing@aol.com by Nov. 11.